Gourmet Colletion performs all cooking tasks, large or small, with this Cuisinart® Non-Stick Cookware set simmer, saute, fry, boil or braise to your heart’s content! Stainless steel and pure aluminum are encapsulated in the base for fast and even heating. 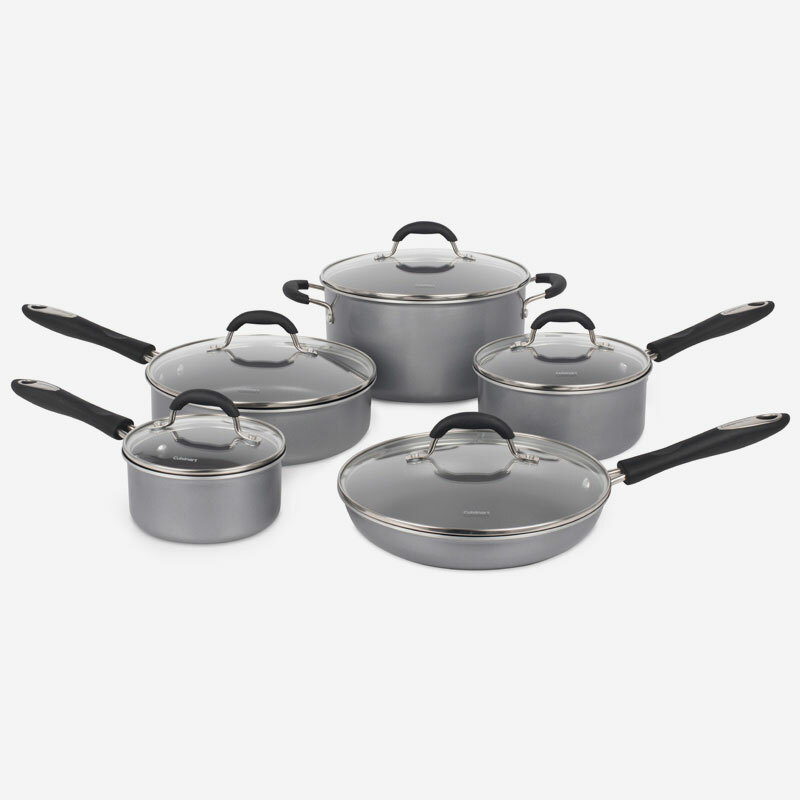 This excellent cookware set is perfect for classic cooking techniques like slow simmers, rolling boils, and liquid reductions. Stainless steel makes an ideal cooking surface because it does not become discoloured, react with food, or alter flavours. 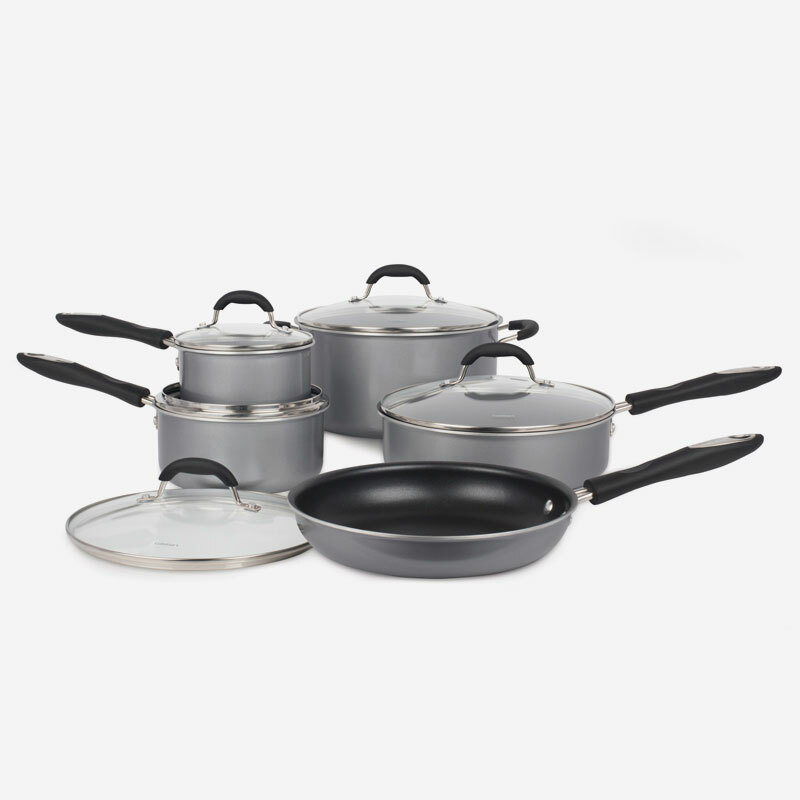 Set includes: 10 inch (24 cm) Skillet with cover, 1 Qt. (0.95 L) Saucepan with Cover, 2 Qt. (1.89 L) Saucepan with Cover, 3 Qt. (2.83 L) Saute Pan with Cover, and 6 Qt. (5.7 L) Stockpot with Cover. 17.70" x 10.00" x 4.72"
24.60" x 14.80" x 10.80"